There are many resources in various formats to teach coding to learners of all ages. These lists may not be complete as new coding resources and tools are being developed and released every day. Please feel free to let Michelle Cowell know if there are resources you would like to see added to the list. You can also check out robots and coding tools from the Central Rivers AEA Media Center. Tynker A complete learning system with online courses that teach programming and computational thinking for kids of all ages. Offers options for home, school, and mobile learning. Code.org What started as the Hour of Code is quickly developing into a comprehensive coding and computer science curriculum with K-12 programs and educator resources. Also, check out their growing list of courses for all ages in Code Studio. ScratchJr This app allows kids to program their own interactive stories and games and prepare them for using Scratch and other block-based programming tools. Blockly A visual programming editor developed by Google and similar to Scratch. Check outMade w/ Code to see what others have made using Blockly, and alter the code to make it your own. Code Combat In this online game, players are the wizard who helps other characters complete their missions with his coding spells. Killing ogres and other baddies is a must. Sploder Learn about game design and create video games in this drag and drop Flash-based environment. Scratch Program interactive stories, games and animations and share them with others. Developed at MIT, it is one of the oldest and most popular online tools. Check out Easy Projects to Get Started with Scratch: Drawing 2D Shapes and Advanced Level Projects with Scratch: Fun with Fractals for ideas. Want to make Scratch hands-on? Check out a Makey-Makey from the AEA Lending Library. What else can you do with a Makey-Makey? Swift Playgrounds Apple’s iPad app to teach kids coding. Code Maven A more mature version of Code Monster for the older student from Crunchzilla. Gamestar Mechanic While not technically a coding site, Gamestar Mechanic provides complimentary skills as users learn about game design concepts. Options include individual accounts, teacher supervised accounts, and paid online courses taught by professionals. CodeHS Prepared lessons and materials to teach comprehensive coding units. Offers private and teacher accounts with paid and free options. MIT App Inventor A blocks-based programming tool for creating apps for Android devices. Provides tutorials and curriculum and teaching resources. Extracurricular programs can be a great way to get started with coding in schools. Here are some good programs that you may be able to start at your school. The small number of women and people of color in the computer science fields is the inspiration for this group aimed at empowering girls 7-17 to become STEM innovators and community leaders. A Google-sponsored club designed to increase student access and exposure to computer science through after school and summer programs. Women represent 12% of all computer science graduates. In 1984, they represented 37%. This group is is dedicated to equalizing the gender divide in computer science by exposing girls to coding, robotics, web design and mobile development at young ages. 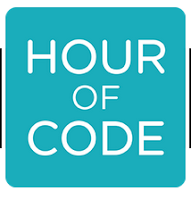 Organized to take place during Computer Science Week (December 8-14, 2014), the Hour of Code is intended to function as a one-hour introduction to computer science and to demystify code. An hour is a great way to begin to move coding from the extracurricular environment to a regular the classroom.